Recently our blog posts have been focused on new technologies and how we will use them in the coming years. From accounting systems going totally online to using blogs, Twitter and social networking sites to build our businesses one can see that there is a change in the way we do business. Well for those that thought technology had run out of ideas, Google may have you waving good-bye to e-mail and saying hello to real-real time communication with their introduction of Google Wave. Wave is a web based application that integrates e-mail, chat, blogs and other communication and collaboration forms into one. The beauty of the integration is that it is also done in real-time. If Wave is a success, this may be the end for other communication and collaboration forms that are not integrated together. Wave it set to release later on this year, but until then look at the video preview to see if you will be waving good-bye to your other forms of communication. While scanning through my e-mails the other day, I came across an e-mail from computer and electronics seller Tiger Direct and since I am always interested in new technology to make life run smoother I opened it looking for deals. The e-mail stated that due to the new American Recovery and Reinvestment Act of 2009 taxpayers with a child in college will be able to claim technology products (laptops, netbooks, and internet to name a few) as qualified education expenses for year 2009 and 2010. In an effort to sell more units, Tiger Direct left out one important detail regarding the technology products purchased. Products purchased by the taxpayer must be bought with funds from a Section 529 educational plan and not out of pocket. The e-mail is only partially correct and many taxpayers will think that their purchases will qualify for educational expenses when in reality they will not. Be sure to speak with your tax advisor to understand the tax advantages of Section 529 plans so that you can properly plan your educational purchases for the year. 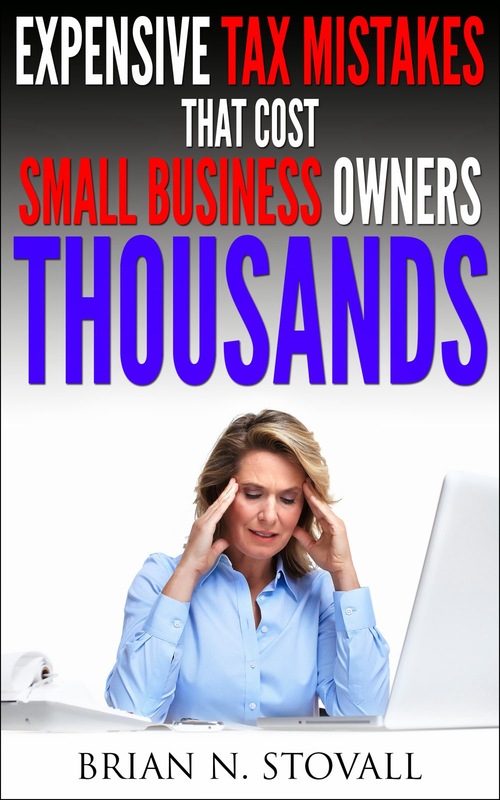 Most small business owners wear all the “hats” when it comes to running their businesses. From sales and marketing, to accounting, to day to day operations, a small business owner has to juggle many duties to get the job done. Problems can arise for a small business owner when they do not have access to information at a moments need. Bottlenecks can also occur when small business owners have difficulty locating necessary documents while in the office. If these situations have occurred while operating your small business, a look toward technology may be a solution. By using a document management solution, small business owners can have access to their data virtually anywhere, their data will be organized decreasing bottlenecks, and the data is secure. There are many vendors that offer file storage/document management solutions so a small business owner must first access what their needs and storage sizes are. A very interesting article came across my e-mail recently that I would like to share with everyone out there in blog land. Written by Mike LeMaster, president of Revenue Advisors LLC, the article focuses on how business owners must change their thought processes to stay competitive in the new economy. The way we do business is drastically changing and business owners need to change with the times or get left behind. LeMaster outlines four things a business owner can do to ensure that they stay competitive in the new economy. One thing business owners should focus on is how they operate their business today and look for ways to streamline operations and save precious money. Be sure to read the article and post your thoughts about how your business will sail down the new river of thought. If a business decides not to sail down the new river, there is a large chance that the business will sink. Small business owners are constantly looking for more ways to streamline their operations and save money. A great way to increase productivity and save precious dollars is to have 24/7 access to your data. 24/7 data access allows the small business owner to make sound business decisions based on real-time information. Real –time financial information can only be obtained from a financial system that is virtual (or online). There are two ways that a small business owner can setup a virtual accounting system, through and ASP or a SaaS. An ASP or application service provider allows a small business to login to their computers where popular accounting software packages (like Microsoft Office Accounting, and QuickBooks) are located. The small business owner’s books are then hosted on the ASP’s computer where they can be accessed anytime online. SaaS or Software as a Service is typically a web based accounting system (such as QuickBooks Online, or AccountantsWorld Accounting Relief) where a small business owner would login to the accounting system itself instead of a computer that hosts the accounting software. Which system is right for your small business will depend on a few factors so be sure to speak to a financial technology consultant and conduct a detailed needs assessment that focuses on your existing systems and processes. We recently conducted a small business seminar that was geared toward assisting small business owners with their accounting and back office functions. The main point that was conveyed was that a small business owner needs to use an accounting software title to fully benefit from the organization and productivity gains their business will experience. One software title that can help those small business owners just starting out is Microsoft Office Accounting Express (MOAE). MOAE integrates seamlessly with all of Microsoft’s Office products so the learning curve is not as steep as other software. MOAE is also already customized for those tech savvy business owners that sell products online with integration with eBay and payments through PayPal. MOAE is also free as a download so small business owners have nothing to loose to try it out. Download MOAE today and get your small business running faster and with more organization. There have been previous posts on the topic of the IRS auditing small businesses and with the latest news, there is a need to revisit the topic again. According to IRS Commissioner Doug Shulman small businesses with assets between $10 million to $50 million are eight times more likely to be audited than businesses with less than the amount. The IRS is trying to reach out to small businesses (especially Schedule C filers) through increased resources on their website and collaborative efforts with small business accountants. In these tough economic times, small business owners are better prepared to cope when they have all the information at their fingertips. While doing some tax planning for a client earlier this week, we noticed that there may be a chance that the taxpayer would either owe taxes this coming year or their refund would be a bit smaller. This is partly due to the taxpayer’s own personal situation; however the “Making Work Pay” tax credit is the major factor in the change. The credit is part of the stimulus package recently signed into law and there maybe be quite a few taxpayers who will have a surprise next year at tax time. The credit provides taxpayers with $400 to $800 during the year, but certain taxpayers will have to pay some of that money back when they file their taxes. Those taxpayers that will be affected are the married taxpayers where both spouses work, workers with more than one job during the year, and retired taxpayers with earned income (this is a lot of people). This is another reason that taxpayers should be planning for tax season next year now. Small business owners that purchase goods over the internet versus a traditional store front may want to start setting aside money to pay for the sales tax on the goods. The Supreme Court has recently backed the idea of state sales taxes on internet sales even though the many companies do not have a physical presence in the state. With the economy being down and state budgets being cut, many revenue departments are looking for ways to increase their bottom line. Small business owners should set aside money for sales taxes or at least research the taxability of online items before purchase. Sales taxes are based on state tax law, so the rules from state to state are different. Be sure to speak to your accountant regarding any sales tax issues that may arise especially when purchasing big ticket items online.